Progress Toronto is encouraging TDSB Ward 13 residents to vote for first time candidate Siham Rayale. Siham is committed to improving parent engagement, creating access to child care spaces, and ensuring early exposure to math, science and STEM programs in our schools. Siham will speak out against cuts to education and advocate for school repairs to ensure high quality education for our kids. Progress Toronto is encouraging TDSB Ward 13 residents to vote for first time candidate Siham Rayale. Siham is committed to improving parent engagement, creating access to child care spaces, and ensuring early exposure to math, science and STEM programs in our schools. Siham will speak out against cuts to education and advocate for school repairs to ensure high quality education for our kids. We are working to identify Siham’s supporters in target polls and will get them out to vote on election day. Because of Ford, Siham’s team is running in a changed ward and has to cover new ground fast. Please sign up to volunteer and donate directly to her campaign. Click the buttons below to help out! About Siham from her website: Siham Rayale grew up in Scarborough and Markham and has been a long-term resident of Don Valley North. As an advocate of community-led development Siham has led forums for immigrants and families to talk about issues that matter to them, focusing on education, racism, mental health, and poverty. In Don Valley North, Siham has led initiatives to expand dedicated pool hours for women and children, improve language accessibility for newcomer families and create access to programs that are designed to assist low-income households. Siham's passion for community development grew from her experience volunteering for humanitarian organizations that eventually led her to living and working abroad. Her career as an educator, consultant and humanitarian worker taught Siham the value of collective impact and community empowerment. When Siham moved back to Toronto, she hoped to continue to work with vulnerable communities/groups and find ways to impact change. 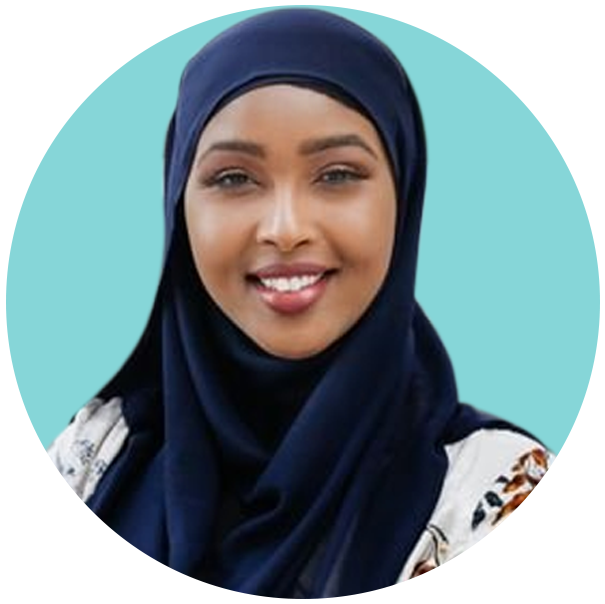 Siham has brought her passion for tackling issues like anti-Black racism, islamophobia, accessibility and disability issues in immigrant communities as well as anti-violence strategies in families and households to communities in Toronto. Siham's commitment to improving educational outcomes stems from her own experience. Siham's mother is the inspiration behind everything she does having always emphasized the importance of getting a good education. With her support, Siham went on to complete her Doctorate, after which she has dedicated her career to working with vulnerable groups, promoting human rights and challenging others to do the same. Siham's mission has been to lead a life that is purpose-driven and reflect the values her mother instilled in her that is: to bring excellence to everything she does. Siham will bring this enthusiasm and work ethic to becoming and serving as Trustee for our communities.